The frequency of work-related injuries has been shown by statistics to be at an all-time high. With over ten thousand cases reported annually of very grave injuries sustained by workers in the United States. With these accidents comes trauma, pain and financial expenses that cannot be evaded. It is the responsibility of the employer to ensure that the workplace is as safe as possible because though accidents are unplanned, they can be anticipated and avoided before they occur. 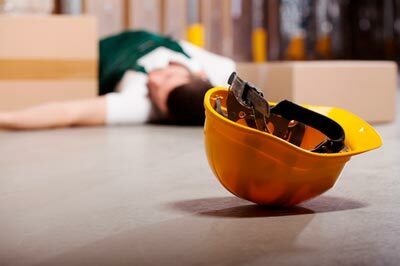 If you or someone you know has suffered serious work injuries as a result of the negligence of your employer, then you are eligible to be compensated. You would, however, need a competent lawyer to help bring your victory to reality. Our services at Rawa Law Group are tailored to provide you with utmost convenience and ease. We do not require that you provide any upfront payment before we proceed on your case; we actually don’t expect payments until we have won you money. We are renowned in Moreno Valley and its environs for our congenial and thorough approach to legal representation. Our work injury attorneys in Moreno Valley will provide you with customized consultations meetings that are absolutely free of charge; we will not spare any resource in bringing you the desired outcome. Would you like to experience the delight of top-class representation? Then, by all means, reach us via the address below.